Overall Park of the Year 2009, Glenross Caravan Park is situated on the Ring of Kerry overlooking Rossbeigh beach and the Dingle Mountains. Quietly located before entering Glenbeigh Village this award winning Caravan Club affiliated site is attractively laid out with hard standing pitches for touring caravans / motorhomes - some with stunning views of the sea and lovely camping section for tenters. Glenross commands a stunning view of Rossbeigh Strand, a superb Blue Flag beach which stretches over 4km with views across the bay to the Dingle Mountains. The Park is at the edge of Glenbeigh village within walking distance of local shops and traditional pubs where food is served daily. This beautiful site is attractively laid out with hardstanding pitches in a lovely central setting. Dooks Golf Course (18 hole) 3km, Fishing, Horse Riding, Walking (Kerry Way) and Watersports are available nearby. 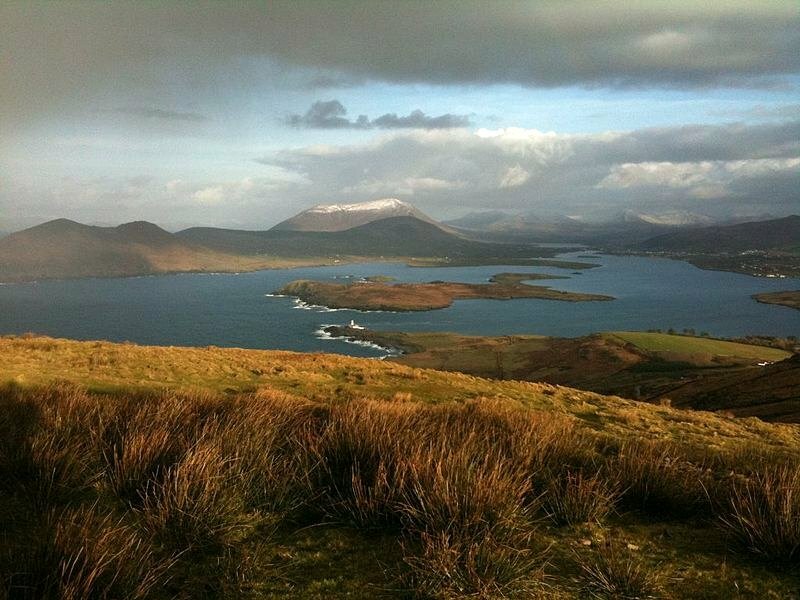 The site provides an ideal base for touring Killarney, Ring of Kerry and Dingle. Modern toilet block and laundry, new campers dining area with wash-up facilities, open air drying room. Easy access waste disposal station for motorhomes. Children's games room, public telephone, Wi-Fi access and bicycle hire on site. Dogs walks nearby and on the beach. Free WiFi access on all pitches. Mobile Homes are also available to hire on site with TV/DVD Players included in price. Also luxury holiday homes for rent. Things to see and do in Kerry Glenross is ideal base for touring the Ring of Kerry, Dingle, Skellig Heritage Centre, Valentia Island, Killarney & National Park, located on the Kerry Way for walkers. Dooks & Killorglin Golf Clubs nearby. Watersports, fishing, horse-riding, cycling, walking & climbing are all within a short distance of the Park. The main attraction is this village is a superb Blue Flag Beach, Rossbeigh, which stretches over 4kms with views across the bay. Only five minutes by car from the site this beach provides idyllic conditions for swimming and walking with some fantastic bird watching. On the beach is a brand new children's playground, basketball, soccer and tennis court. This area is a haven for the outdoors. The Glenbeigh Hotel is located beside the Park and serves food daily with music during the season. A pint of Guinness somehow in the Emerald Isle always seems to taste finer and more smooth. The village is a 5 minute stroll from the Park with shops, bars, takeaway and supermarkets.